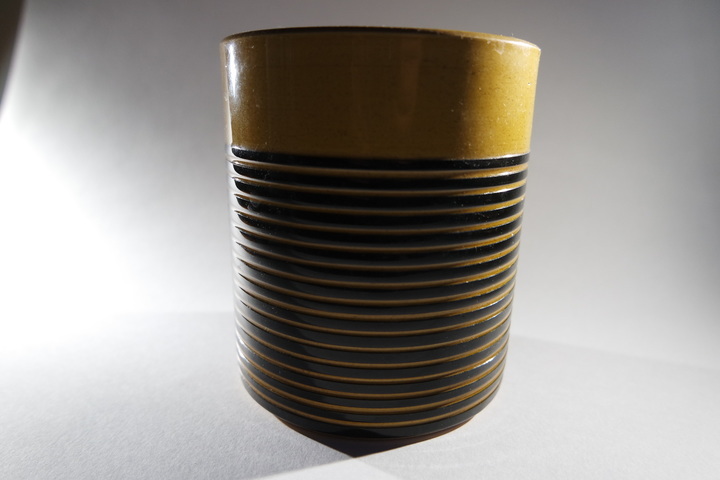 A smart storage jar from the T G Green Channel Islands series; this is the Sark pattern - Sark Honey. 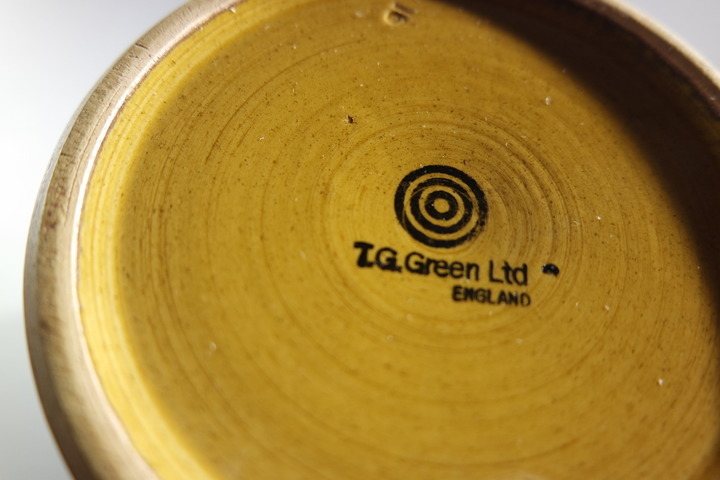 This was T G Green, producers of the famous blue and white striped Cornishware, reinventing its look for the late 1960's and recruiting designers Judith Onions and Martin Hunt RDI. 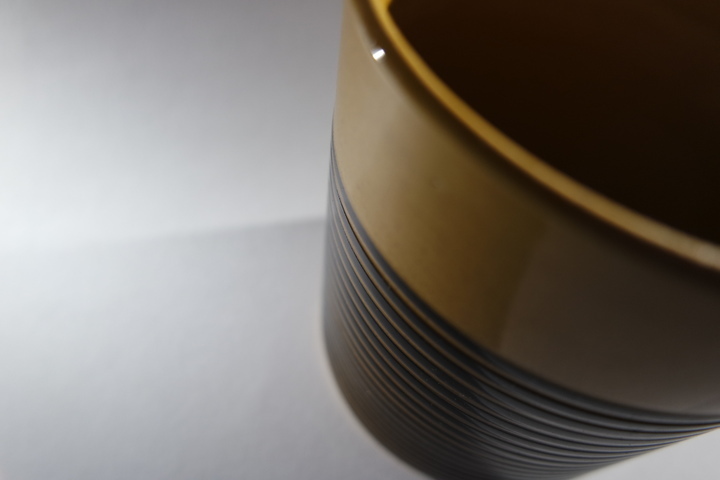 Judith Onions had already successfully restyled the Cornish Ware range in 1968 when she was joined by Martin Hunt RDI to design an entirely new range. They produced four clear, bold and very British designs (each with a very different pattern). They named them after the English Channel Islands Jersey, Guernsey, Alderney, Sark and later Herm. Each of The Channel Islands designs was produced in a number of colours – Honey, Grey, Blue, Green, Brown & Orange.